The possibilities of utility are many – a premise well demonstrated by the versatile Aria Writing Desk. 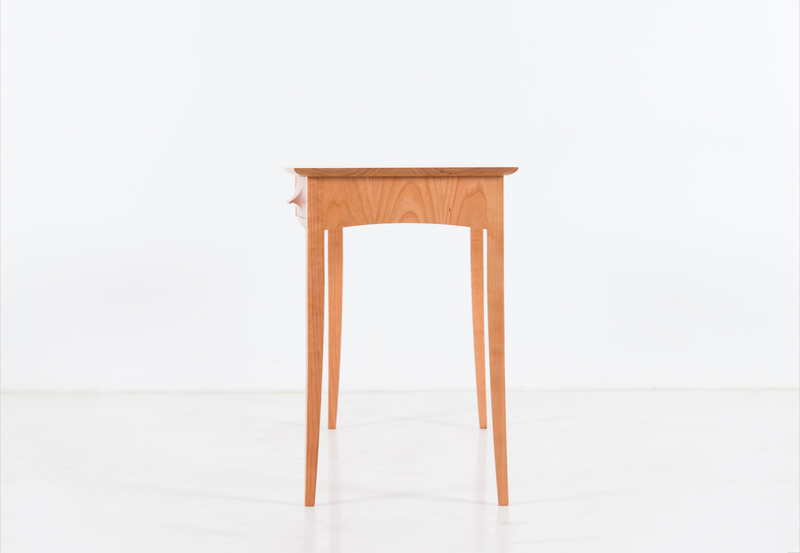 While ideal for a laptop, the desk is equally suited for work or a dressing area. 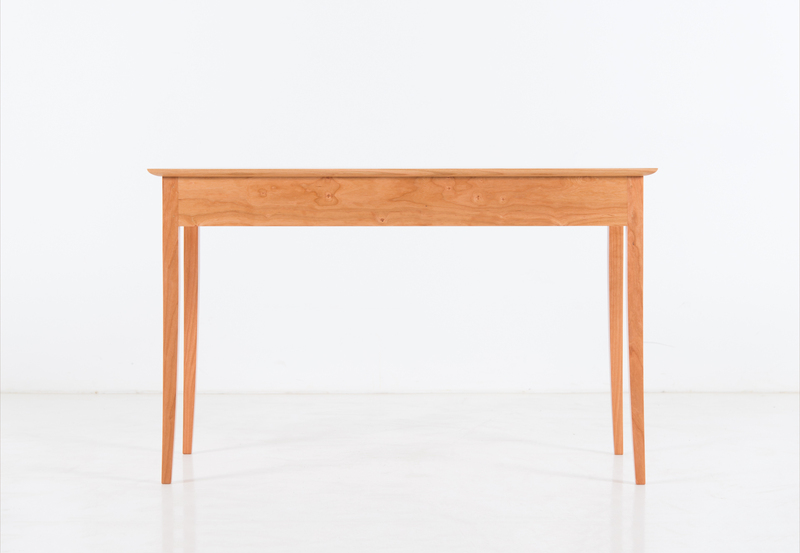 Made of hand-finished cherry or walnut, the desk makes exceptional use of space, with a narrow footprint that tucks neatly against a wall. 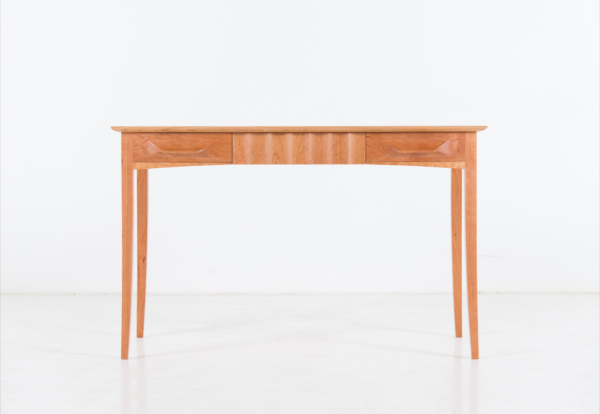 In line with the design of its namesake collection, the Aria Writing Desk incorporates a scalloped center drawer that separates its side drawers in a flourish that is pure elegance. 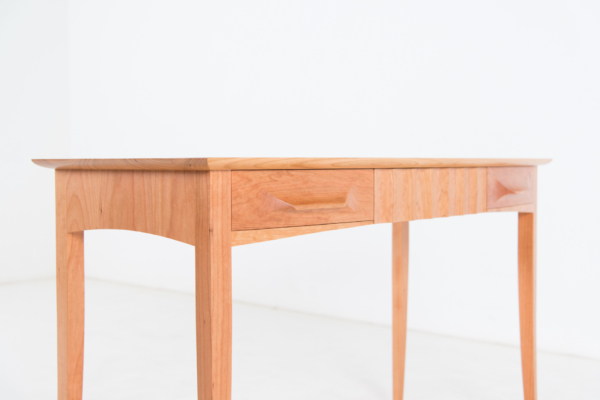 The Aria Writing Desk is hand-sculpted from solid blocks of grain-matched North American hardwood. 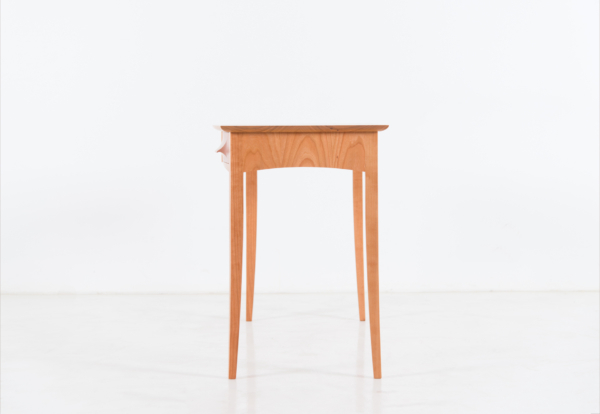 Feminine without being slight, the surface measures 48″ with three drawers for storage of essentials. 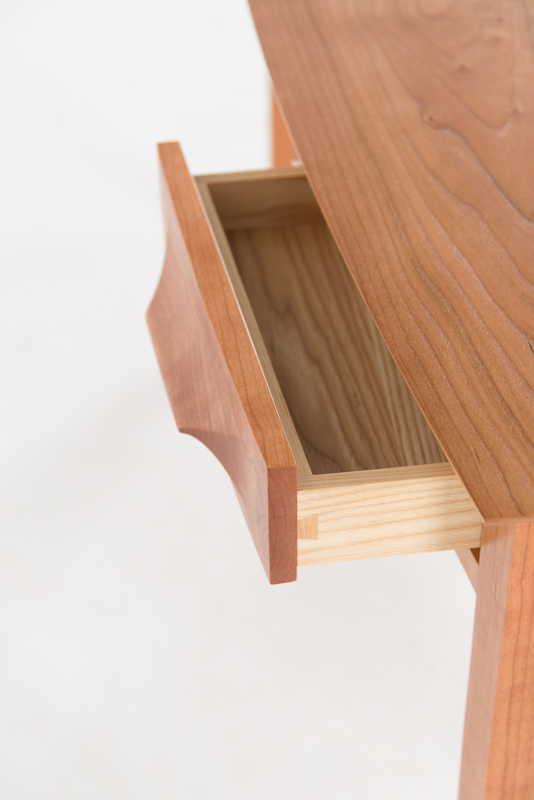 With matching drawers at either end, the center drawer front stands out with a scalloped front that demonstrates the work of a dedicated artisan. 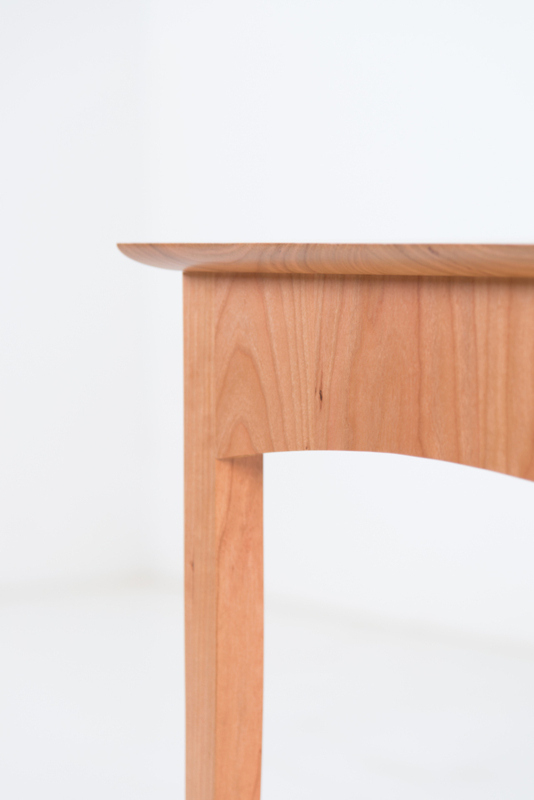 The tapered legs of the desk are handmade, with sound mortise-and-tenon joints at all four corners. 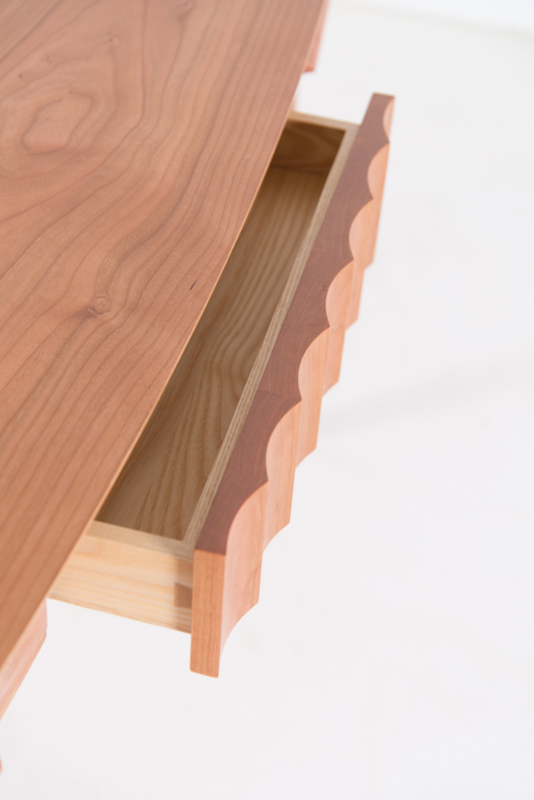 Curved end skirts mimic the concave flow of the desk’s drawers, harkening to the organic sensibility of every piece in the Aria Collection. The top of the Aria Writing Desk rounds out its aesthetic. 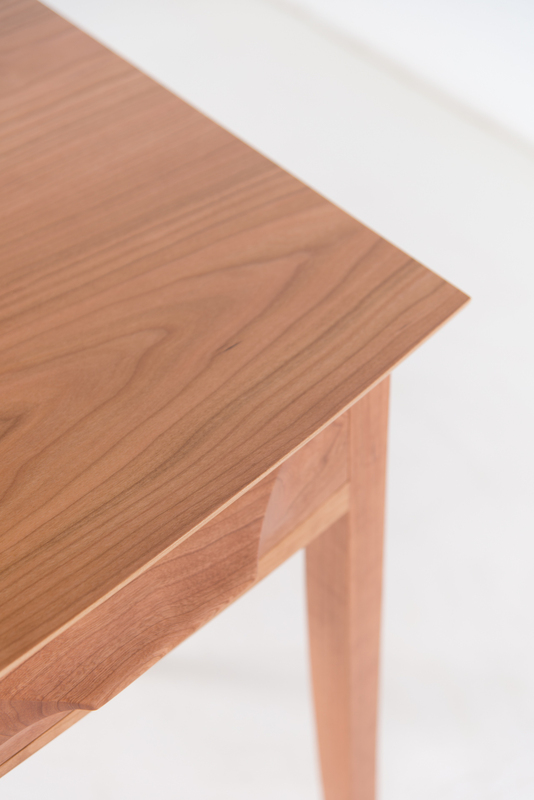 Comprised of a four-foot-long expanse of grain-matched wood, its lustrous finish welcomes the tools of its designated purpose. With a commitment to quality, the desk rounds out an office, living or dressing space with simplicity and elegance.